When looking for a new job, you naturally want to make sure that where you end up is the best possible fit for your skills. Beyond that, however, you want a fun, nurturing work environment that will allow you to grow your talents and build a career. 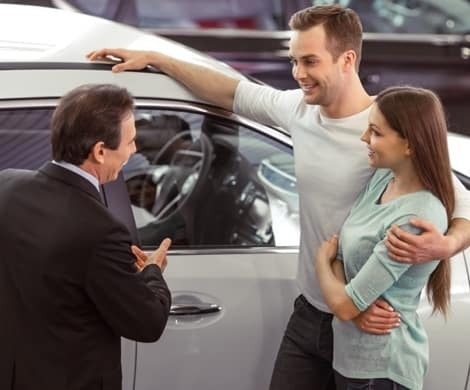 For over 30 years, Arlington Toyota has maintained a dealership that invests in its employees. Being a family-owned and operated dealership, we treat our team like one great big family! Simply put, you’ll love what you do and who you work with here at Arlington Toyota. And the enthusiasm of our work environment is so contagious that even our customers love coming here; with a 4.8 ranking out of 5 stars from over 3,400 Google reviews, it’s clear that our dealership is a positive place to be for everyone. Here you’ll be eager to start each day and give it your best! Below you can see what our employees have to say about why they love working at Arlington Toyota. Once you’ve heard from them, browse our available positions and then apply for a job online. We look forward to welcoming you to the team!